Mentally flip, rotate and stack the transparent cards to make Swishes. 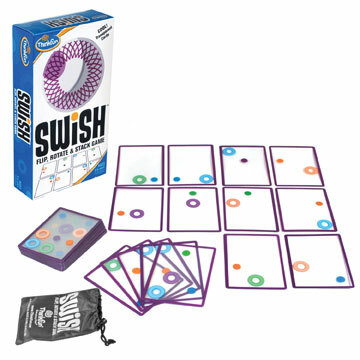 A Swish is created by layering two or more cards so every ball fits into a hoop of the same color. The more Swishes you find, the more points you score!